The year was 2033 AD. Professor Heidi Heisenberg stepped out of her time transporter in disgust. She still found herself in 2033 when she had expected to step out in 2040 AD. Nothing had changed. She had spent the seven best years of her life on research to continue where Einstein had left off. Diamond looked at her sympathetically and stood up on his hind legs and yapped seven times. This was his way of begging for dog biscuits. The professor went into the kitchen and placed exactly seven biscuits in Diamond’s plate and placed it on the floor in front of the puppy. Diamond set about scrunching the biscuits happily. He gave seven sharp yaps after finishing the biscuits. This was his way of saying thank you. In desperation, she made some programming changes to her time transporter. She decided she would step into the time transporter and make one final attempt before winding up for the day. She carefully prepared the machine for one last attempt and opened the transporter’s front door and stepped into the small space meant for the subjects. She switched on the FTL7 (Faster than light by seven times) drive and waited with bated breath. Nothing happened. No whirr and blur. No zooming in or out. She stepped out of her machine feeling really dejected. She stretched and yawned tiredly. Time to go home. She went into the kitchen and filled two plates with seven dog biscuits each. Diamond and the professor scrunched the biscuits in immense enjoyment. A very intelligent take on the prompt again. I loved what you did with the prompts in the unusual genre of science fiction. Congratulations on successfully completing the challenge. Aha! So 7 is the magic number. So glad that she fulfilled her dream! So you love sci-fi. Your posts show your love for the genre. Congrats on the successful completion of the challenge. So glad she did it finally. Her efforts did not go in vain. What a fantastic use of the prompt Jai! Aha! 7 the magical number. Glad that she did it finally. A question... she ate the dog biscuits too?? Interesting take on the prompt Jai! Another interesting sci-fi. Liked Diamond a lot. This has been an awesome series, Jai sir. Heidi relishing dog biscuits! That's how joy makes one numb to preferences, I guess. Great that she achieved what she was toiling hard for. Congratulations on successfully completing the challenge! Thank you Ashvini. 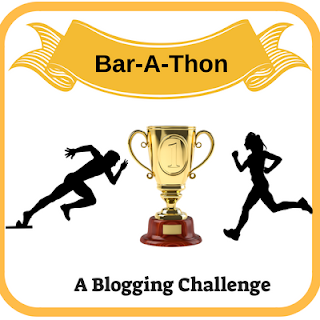 Unfortunately I have not been able to read all your posts for barathon. I will surely read them soon.